The Bijou Basin is a broad valley in East Central Colorado about 70 miles southeast of Denver. It is drained by East and West Bijou Creeks. These creeks at their confluence form Bijou Creek, which flows north into the South Platte River at Fort Morgan, Colorado. Cwm Ceffyl Ranch is located on the banks of West Bijou Creek. Below are a few of the notable figures of past years that lived in or traveled through our area. 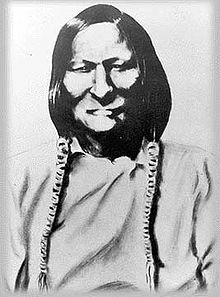 This is Chief Black Kettle of the Southern Cheyenne. He was a peacemaker who tried to find ways for the Southern Cheyenne to live on the Colorado plains and cope with the waves of whites coming from the east. 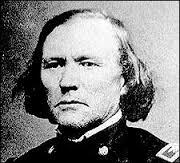 Chief Black Kettle survived the infamous Sand Creek Massacre in November 1864 and was killed on November 27, 1868 in an attack by George Armstrong Custer and his 7th Cavalry in the Battle of Washita River. Black Kettle certainly made a practice of traveling through and possibly camping on what is now Cwm Ceffyl Ranch. When his peace efforts failed, he is quoted as saying: "Although wrongs have been done me, I live in hopes. I have not got two hearts....I once thought that I was the only man that persevered to be the friend of the white man, but since they have come and cleaned out our lodges, horses, and everything else, it is hard for me to believe white men anymore." This is John Charles Fremont, known by some historians as “The Great Pathfinder.” Married to the daughter of Missouri's Senator Stanton, he made a number of government expeditions to the American West, usually guided by the below pictured Kit Carson. Fremont’s Company camped is now Cwm Ceffyl Ranch for the night of 10 July 1843. Fremont went on to be the first U.S. Government party to document the existence of Colorado's Black Forest, Lake Tahoe in the Sierra Nevada Mountains, and Pyramid Lake north of what is now Reno, Nevada. His expedition through here was the first government party to explore the parts of the 1803 Louisiana Purchase that lie between the Arkansas explored in 1806 by Zebulon Pike and the Missouri by the famous Louis & Clark Expedition in 1804 and 1805, and the Platte River explored by Stephen H. Long's 1820 expedition. This is Christopher "Kit" Carson, the famous western trail blazer and guide. 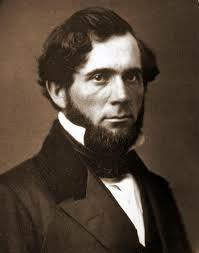 Carson guided most of the expeditions of John Charles Fremont. Carson often resided in Bent's Old Fort on the Arkansas River, and was quite familiar with the Bijou Basin. His dictated autobiography (Kit was illiterate his entire life) indicates he used Bijou Creek for navigation when traveling from his home near Taos to the South Platte River in 1848. Thus, we know he was on what is now Cwm Ceffyl Ranch at least once. When asked by a reporter if he ever got lost in his travels, Carson responded that "No, I never got lost, but there were some times that I was a might confused about where I was for about three weeks." That’s a typical Westerner. Carson was a brevet General in the U.S. Army and once commanded Ft. Garland in the San Louis Valley. He died in Colorado, a short distance southeast of us, at the age of 58.